Learn how to find entries in the database; how to do simple, fast queries; how to do more complex, dynamic queries; and how and when to use other means like entity queries. Read more "Drupal 8 API: database abstraction layer"
Learn how Drupal and Symfony communicate in order to return rendered HTML and other formats, how Drupal's render pipeline works both when invoked directly or when called from within the request/response pipeline. Read more "Drupal 8 API: render API"
Learn how to manipulate cached objects in Drupal, define your own cache bins and backends, and how invalidation of cached data differs from deletion. Read more "Drupal 8 API: cache API"
It's like Return of the Mack, but with PHP; you know, instead of the Mack. 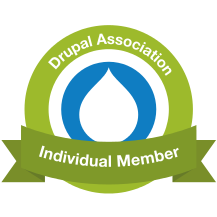 Read more "Return of the Drupal API posts"
Learn how to subscribe to events within Drupal core, and write code to respond to them when they occur. Read more "Drupal 8 API: events"
Read more "Drupal 8 API: configuration"
Learn how to use state as distinct from configuration, how to load and save both state and the underlying key/value store, and how caching is involved. Read more "Drupal 8 API: state"
Learn how Drupal treats different types of information differently, and what that means for the permanence of the information and your own coding approaches. Read more "Drupal 8 API: types of information in Drupal"
Learn how fields are configured in relation to bundles, entity types and individual entities; learn how to set up bundles on a custom entity type; and learn how to add fields and bundles, both through configuration files and programmatically. Read more "Drupal 8 API: fields"